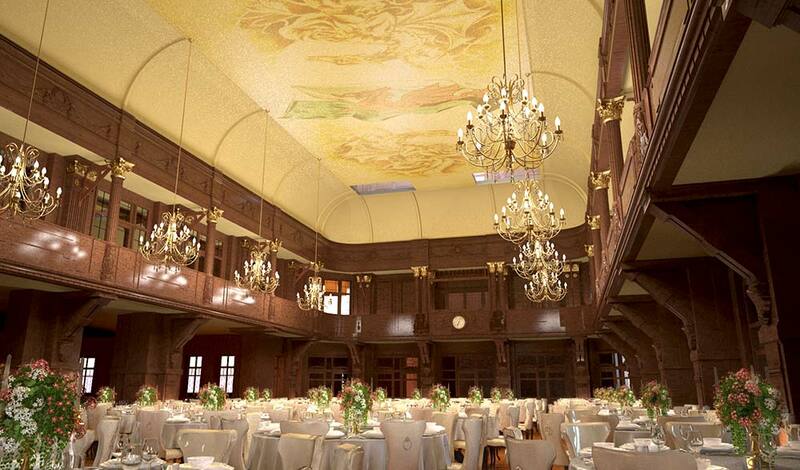 Venue searching is one of the toughest and time consuming tasks when planning your wedding. With so many beautiful wedding venue options around the country, especially across South and West Wales, finding the perfect one that ticks all your boxes can seem almost impossible. You will want one that will suit your style, colour scheme, create the scene you’ve been dreaming of and blow your guests away. So, to make your lives a little easier, I have whittled down these seven stunning wedding venues across South and West Wales that will excite and inspire you to choose the perfect venue which you, your family and friends will enjoy. 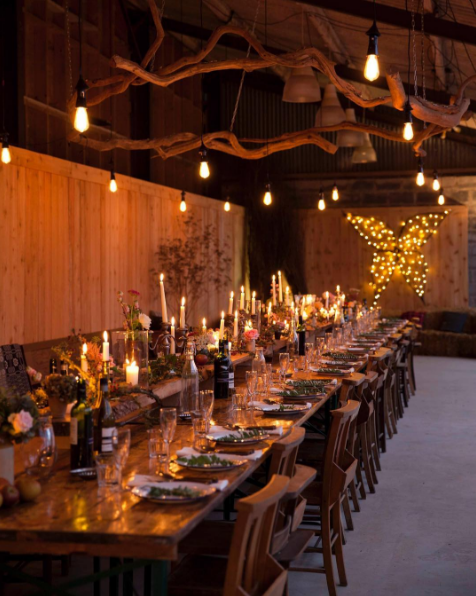 Set in the idyllic countryside of Carmarthen, West Wales, Ro Fawr Farm is a magical setting in which to hold the perfect wedding reception and celebration. Surrounded by 12 acres of natural and unspoilt gardens, rivers and woodland in the heart of the Tywi Valley, the 215 year old venue can offer scenery like no other. Driving down a private road to enter what can only be described as a ‘world of its own’ Ro Fawr is a sanctuary where you and your loved ones can celebrate your precious day. Once a working farm, RoFawr gives you the uttermost freedom to tailor your wedding celebration to your specific needs, ensuring that you, your family and friends celebrate your big day just the way you imagined. 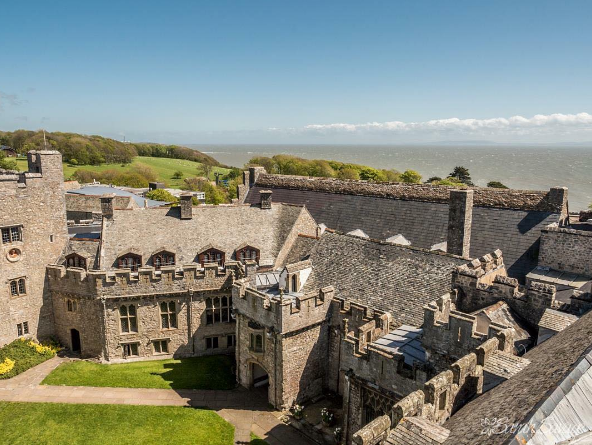 Just a 40 minute drive from the centre of Cardiff and positioned on the charming South Wales coastline, St Donat’s Castle is the perfect venue to hold your unique and luxury wedding reception. Surrounded by stunning gardens, the historical castle sets a gorgeous scene overlooking the Bristol Channel towards the coast of Devon. St Donat’s boast three areas to choose from; the magnificent Bradenstoke Hall, the medieval Tythe Barn, or the more intimate Arts Centre – either way you won’t be disappointed. For a wedding venue that you, your friends and family will remember for years to come, check out The Boiler House in Cardiff – a warehouse come graffiti gallery which just screams alternative wedding. The Boiler House is a creative venue where the walls themselves are canvasses painted quarterly by the most talented of graffiti artists, you really will have a unique backdrop to your day. 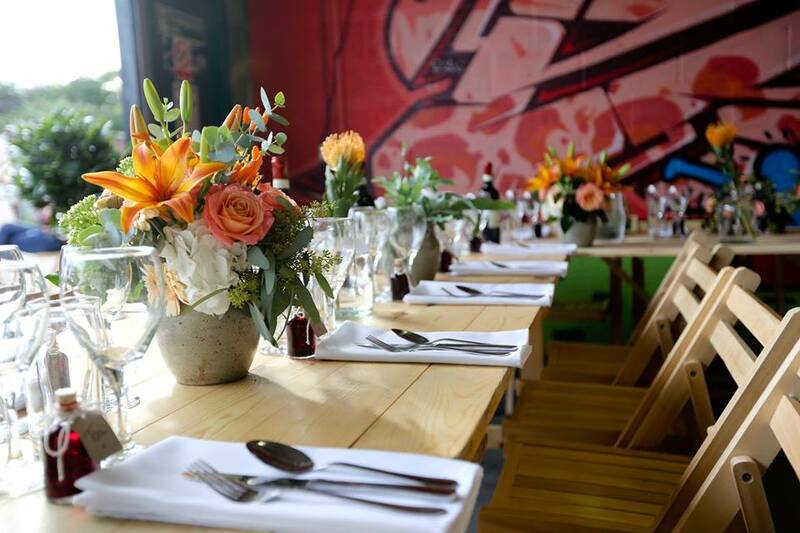 Combine that with a mezzanine floor, vintage furniture, artsy lighting and the facilities and space to cater for street food vans, this venue will make your wedding celebration one to remember by all. In the grounds of Cardiff Castle and overlooking the beautiful scenery of Bute Park, The Royal Welsh College of Music and Drama can offer history, scenery and an impressive alumni. Access to the Anthony Hopkins Centre, formerly Cardiff Castle’s stables, and courtyard is by a beautiful tree-lined avenue with the castle in the background. Your arrival here can be as you wish, car, carriage or even a water-taxi! 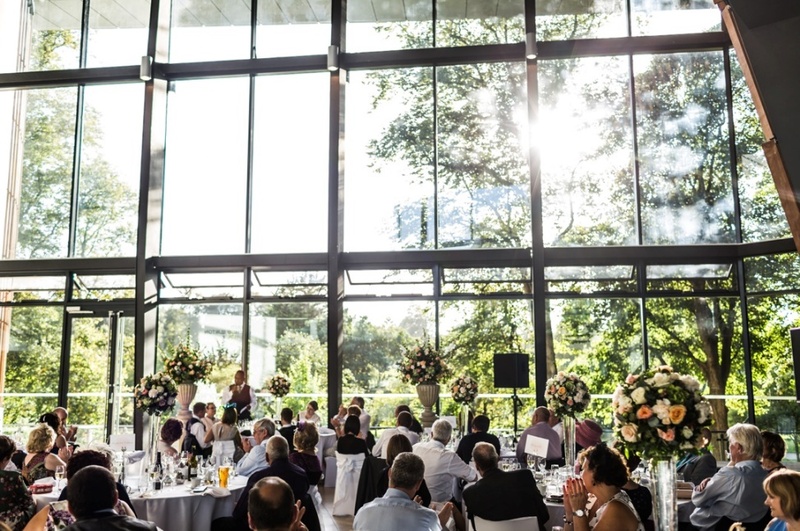 The venue also offers the glass atrium with the backdrop of Bute Park as you sit for your wedding breakfast and continue the celebrations into the night. 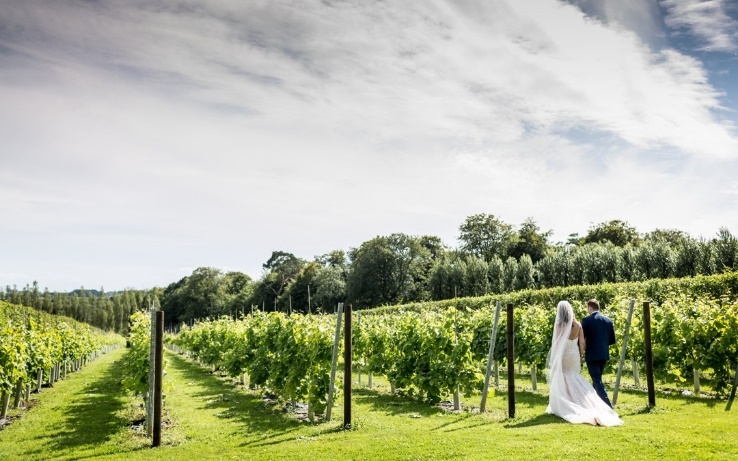 Just a 20 minute drive from Cardiff, Llanerch Vineyard in Hensol is the ideal laid-back location for an exceptional wedding day. Your celebration can be catered for in the stunning Calon Lodge function suite, in an exquisitely chic and romantic marquee on lush scenic grounds, or in both if you wish. Whatever you choose for your wedding reception, you and up to 150 guests will think you’re in the vineyards of Bordeaux in this gorgeous setting. The Exchange Hotel was originally built in the 1800s to hold trade negotiations for Wales’ biggest industry, coal. Left derelict after closing its doors in 1958, it was used sporadically for filming and as a music venue. Now owned and renovated by Signature Living, they are passionate about having restored this beautiful building and maintaining many of its original features. The Grand Bassey Hall, named after none other than the Welsh icon Shirley Bassey, was the main trading floor and has been transformed into a breath-taking space. Retaining features such as The Dragon Clock and Lion barometer it really has got the wow factor and if that isn’t quite enough, the Grand Bassey Hall’s ceiling mural will make any Welshman or woman burst with pride! On the coast of West Wales, Fforest Weddings have three options for an undoubtedly unique wedding experience; Fforest Farm, Fforest Coast & Fforest Quayside. If you are a lover of nature and the outdoors Fforest offers 200 acres of unspoilt, beautiful scenery and can accommodate you and your guests all year round. You could find yourselves enjoying a secret woodland sauna, communal fire pit in the wilderness and a wide range of accommodation to suit you and your guests. Fforest is perfect for either a one day celebration or a weekend long event with plenty to do in and around the area to keep you all busy and entertained. Another special touch that Fforest pride themselves on is their food & drink – they source locally and even brew their own beer. So there you have it, seven simply gorgeous and unique wedding venues in South and West Wales that will make your special day one that stands out and will create the beautiful memories for you and your loved ones. If you have any questions about venue searching or think you might want some help, I would love to hear from you. Together, we can bring all of your bursting wedding ideas to life, starting with a truly unique wedding venue.